MK Yariv Levin: High Court has broken a new record of recklessness with ruling against Inflitrators' Law. 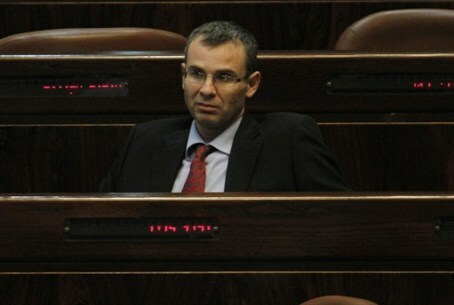 Coalition Chairman MK Yariv Levin (Likud) accused the High Court of “breaking a new record of recklessness” in knocking down the Infiltrators' Law. The decision is “crazy” and will turn Israel from a Jewish state into “a country of all its immigrants,” he said. The Court ruled that Israel’s 2012 law allowing courts to jail illegal entrants for up to three years without trial is unconstitutional. The law was used against 1,750 illegal entrants, who were held in special detention centers in southern Israel and will now likely be released. Knesset Speaker MK Yuli Edelstein (Likud) said that MKs need to think about the pain and suffering of the residents of southern Tel Aviv, Eilat, and other places where the infiltrators are concentrated. The MKs need to commit themselves to legislation that is powerful but balanced, he said, in a way that wil alleviate the suffering of Israeli citizens but withstand the test of the High Court. Meanwhile, Justice Minister Tzipi Livni (Hatnua) said that she will oppose any attempt to “weaken the Supreme Court” following the ruling. She said that it is alright to criticize the Supreme Court but that this must not be done in a way that detracts from its unique and vital status in a democracy. Opposition Head MK Shelly Yachimovich (Labor) praised the court's ruling, saying that the Infiltrators' Law was in contradiction to Israel's democratic nature.